Lucca and Pisa are hosting an exciting new venture initiated by the Tuscan English Academy and prompted by this year’s 400th anniversary of the death of the Bard, William Shakespeare. The literacy legacy of the man from Stratford will be marked by celebratory performances of his work by The National Theatre, the Royal Shakespeare Company and many other theatre production companies, not only in the UK but globally. There will also be hundreds of lectures, recitals, international academic conferences, films, concerts, operas and major exhibitions. 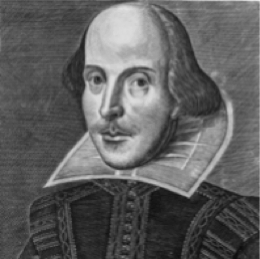 Shakespeare borrowed a few ideas from Italian writers; for example, The Merchant of Venice was based on an Italian novella about a money - lender, while the names Romeo and Juliet were probably taken from the poet Luigi Da Porto. However it was Shakespeare’s genius as a poet, dramatist and story - teller that enabled him to elaborate on these beginnings and create the great works that we know and love today. 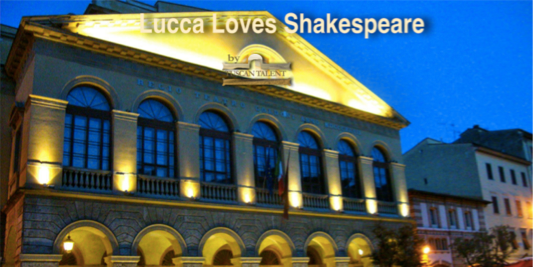 As part of these celebrations, the Tuscan English Academy, in collaboration with Lucca's Teatro del Giglio, is running a 'Lucca Loves Shakespeare' series. 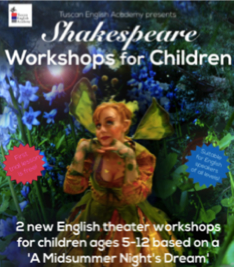 This includes English Shakespeare workshops for children which will take place at the Teatro del Giglio on Mondays from 5pm – 6pm and at Pisa’s Stazione Leopolda on Thursdays from 5.30pm – 6.30pm. Adrian Hughes and David Thomas who are members of The English Theatre Company are leading the workshops, which will run until 6 June. Native speakers from the UK, Adrian and David have performed professionally for nearly 20 years and have led theatre workshops for adults as well as children in the UK and since 2010, also in Italy. 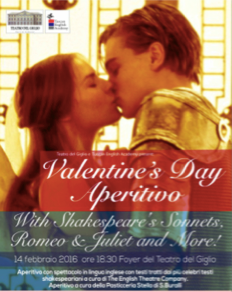 There is also a workshop for adults, which began on February 17th and will be part of many more Lucca Loves Shakespeare events throughout 2016. The workshops will be taught entirely in English – and are perfectly suited for native speakers as well – and will culminate in a year-end performance of the play, A Midsummer Night’s Dream. Children will be able to learn and improve their English while being fully immersed in the magic of this wonderful classic. Not only will they rehearse scenes, practice performance techniques, sing and dance, they will also be involved in designing the costumes, sets and make-up thereby catering for children with a variety of interests and abilities. Lucca’s Teatro del Giglio is the company’s partner for this year - long project, which will include workshops, English lessons, aperitivos, film screenings and many other activities for all ages!